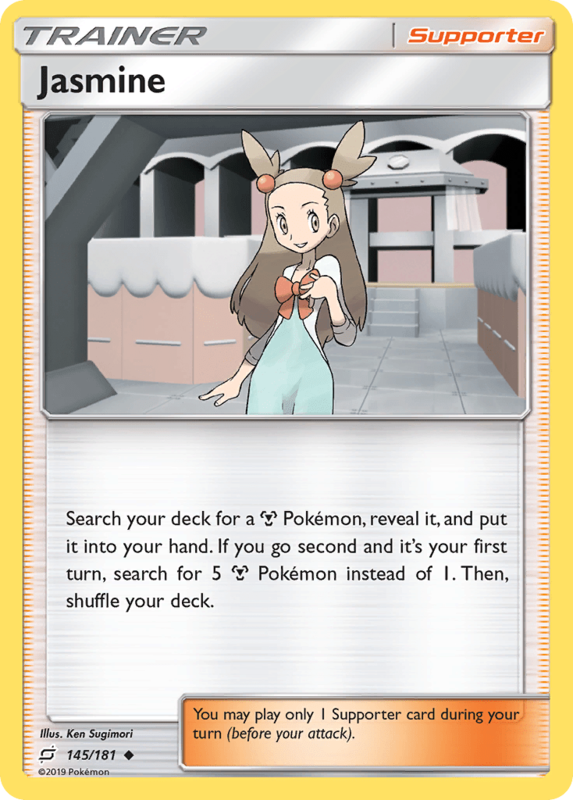 Search your deck for a [M] Pokémon, reveal it, and put it into your hand. If you go second and it’s your first turn, search for 5 [M] Pokémon instead of 1. Then, shuffle your deck.